Any celebrity worth their salt knows if you want to keep relevant you have to reinvent yourself every now and again. Turns out the same goes for the metric system. Recently, the international measurement community met in France to vote on redefining the kilogram – a unit of mass. A number of other measurements including the mole (the amount of a substance) and the ampere (a unit of electrical current) are based off the definition of a kilogram, so a change to the kilo will change their official measurement as well. Why the change of mass? Let’s start at the birth of the kilo and work our way forward: Back in 1889, a block of platinum-iridium was declared the official kilogram prototype, more casually referred to as ‘Big K’. At the same time, dozens of copies were created using strict guidelines and kept around the world, one of which is right here in Australia at our Lindfield site (chosen for its extremely stable foundation, helping ensure the kilo isn’t jostled about). To this day, Big K sits in a vaulted basement in Paris and is considered a true kilogram. But there’s a problem; both Big K and its duplicates are slightly changing. They’re not only changing compared to previous measurements of themselves but over time their changes aren’t consistent with each other. So what’s going on with all these varied kilograms? There are a number of reasons why they’re not all in sync, for example, the power of touch. Every time one of these precious kilograms is touched or moved, molecules rub off onto the surface it’s touching, reducing its mass ever so slightly. There are also theories around the stability of the original material itself changing – outgassing or absorbing other materials. 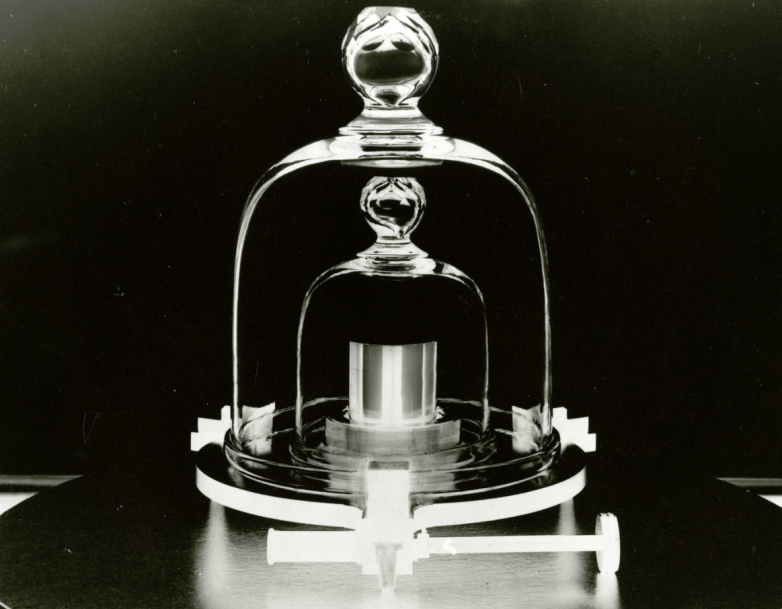 Redefining the kilogram removes the reliance on physical objects that could be unstable. Now that the vote has passed, from 20 May 2019, the kilogram will be defined not with a physical object, but a rule of physics called the Planck constant. The Planck constant is a measure of how much energy is released in light when atoms move around. The definition of a kilogram will become exactly 6.62607015 x 10^-34 Joule seconds. It’s not enough of a difference to officially change the number of weights you’re lifting – it won’t even get you an extra grape per kilo at the grocery store – it’s only a few micrograms. But this tiny change does have a big impact when calculating something massive, like the solar system. Having a measurement that can be defined in terms of a fundamental constant will also become increasingly important as technology advances and more precise measurements are needed. As well as redefining the kilogram, metrologists voted to update the measurement of Kelvin (a unit of temperature), ampere (the unit of electrical current) and mole (the unit of atoms). Once all these measurements are updated, they will join the other three International Systems of Units (SI), which are already defined in terms of fundamental constants: the second, metre and candela (the unit of luminous intensity). So what happens to the special kilogram we’ve got stored here in Aus? Well, all the old ‘official’ kilograms won’t be thrown in the bin just yet (probably never, really). Until the National Measurement Institute Australia implements the new approach in May they’ll still be used as a mass comparison standard for Australia. And after that? Australia’s precious weight will just have a new reference point back at the International Bureau of Weights and Measures.